Foreign Ministry spokesperson Ahmed Abu Zaid told reporters Monday that the current unrest in Ethiopia is an “internal issue”, adding that Egypt hopes for “continuing stability in the country”. Abu Zaid added in a statement that “Ethiopia is an important African country”, whose stability and safety will benefit the continent. 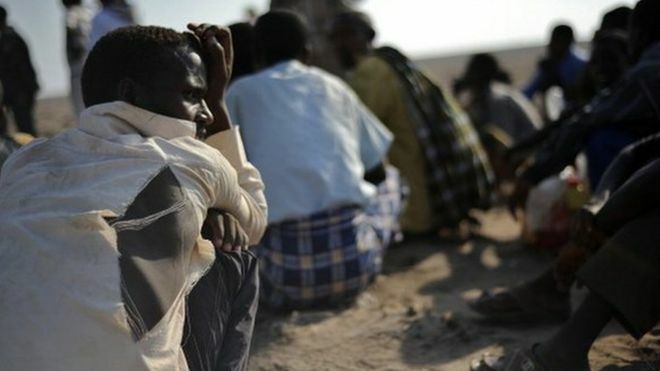 Last week, 75 protesters were killed in Ethiopia after police fired on them, according to Human Rights Watch (HRW). Protests took place in the cities of Haramaya, Jarso, Walliso and Robe. Ethiopian security forces also arrested protesters, according to witnesses. Ethiopia’s largest ethnic group, the Oromo, are protesting against plans to build on their lands as part of the government’s Integrated Regional Development Plan, which aims to expand the Ethiopian capital’s jurisdiction to Oromia. Addressing the population explosion in Addis Ababa, the Ethiopian government sees the building of infrastructure that links the city to other neighbouring cities as a way to alleviate some of the pressure on public resources in the Ethiopian capital." A human rights watchdog has reported that 75 people have been killed protesting a government project in the Oromia region. The government has described the protesters as "terrorists," prompting international concern. "Police and military forces have fired on demonstrations, killing at least 75 protesters and wounding many others, according to activists," the human rights watchdog said in a statement. 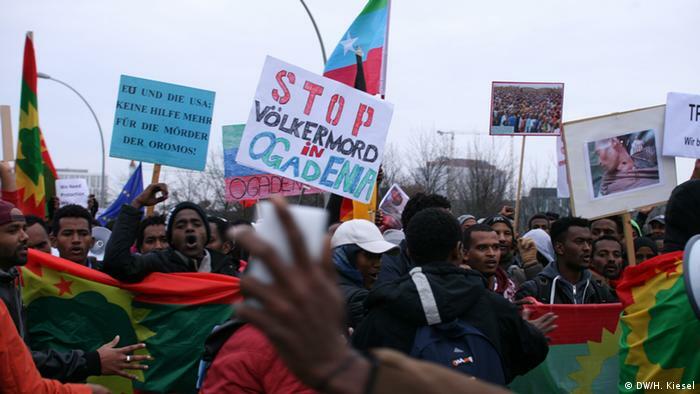 "The Ethiopian government's response to the Oromo protests has resulted in scores dead and a rapidly rising risk of greater bloodshed," said HRW's Deputy Africa Director Leslie Lefkow. "The government's labeling of largely peaceful protesters as 'terrorists' and deploying military forces is a very dangerous escalation of this volatile situation," Lefkow added. Government spokesman Getachew Reda said the "peaceful demonstrations" that began in November escalated into violence, blaming the protesters for "terrorizing the civilians." "Grievances have accumulated over the years. Over the evictions, but also over the lack of democracy in this country, the human rights abuses and the level of poverty," Gerba said in a statement. The US State Department on Saturday expressed concern over the crackdown, urging the government to allow "peaceful protests." "The United States is deeply concerned by the recent clashes in the Oromia region of Ethiopia that reportedly have resulted in the deaths of numerous protesters," the State Department said in a statement." The government said at the time that 17 people had died in the violence, but human rights groups said that the number was much higher."